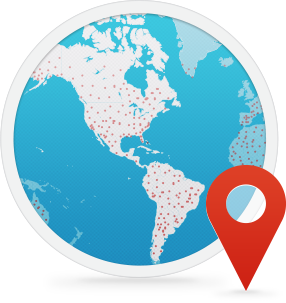 Boingo's award-winning Wi-Fi service gets you connected at more than 1 million public wifi hotspots worldwide. 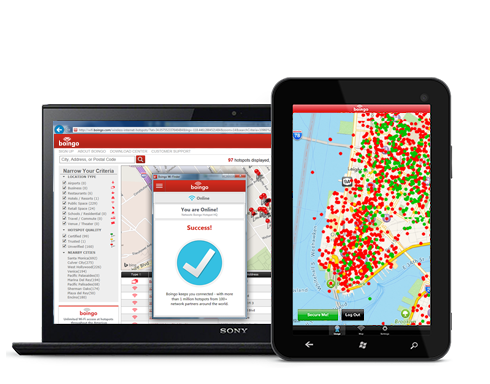 Sign up for a Boingo plan, or find a hotspot location near your home! NEW! Make Boingo connections automatically and securely by enabling Boingo Passpoint on your Mac, Windows 10, Android or iOS wifi hotspot device today. 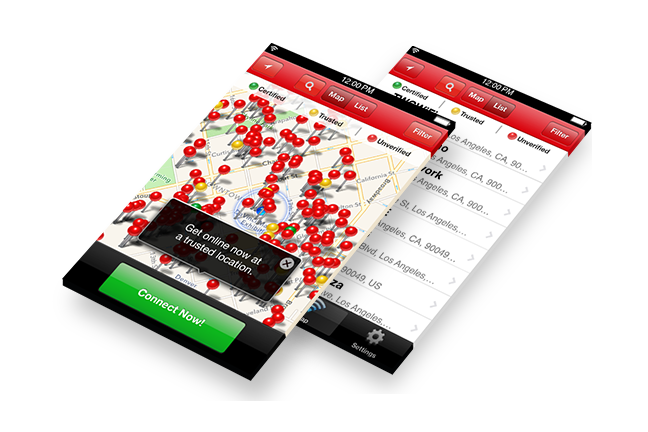 Connect to Boingo Wi-Fi at airports, hotels, coffee shops, malls, convention centers, stadiums and more using the Boingo Wi-Finder app, Boingo Passpoint, or Roaming Login. Cancel anytime— no contracts, no cancellation fees, no hassle. 24/7 customer service. 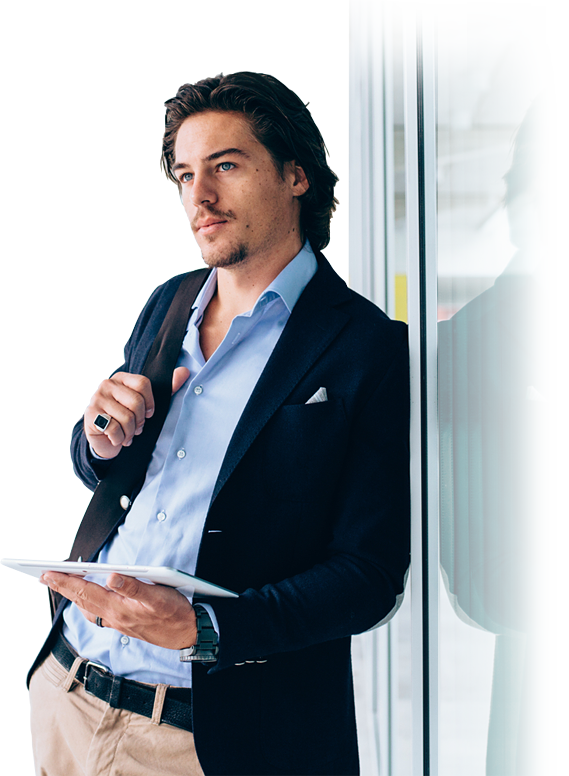 With a Boingo subscription, Passpoint streamlines your Wi-Fi connection experience. No more finding a Wi-Fi network and connecting with an app or entering your username and password on a login screen. Simply walk into a Passpoint-certified location and bam! Your device automatically connects. Enrolling in Passpoint only takes a few seconds and there is no extra charge. Set it up now and save time later! 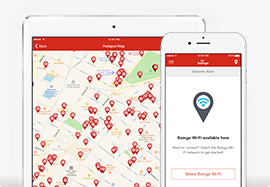 Download the Boingo Wi-Finder App to your smartphone, tablet, or laptop and connect to more than a million hotspots with a single click! This powerful app simplifies the login process, helping you get connected at airports, hotels, convention centers, stadiums, malls and more! Looking for automatic secure connections at 25+ airports and nearly 150,000 hotspots nationwide? 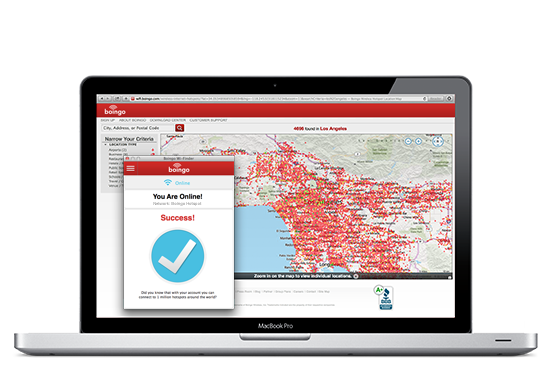 Enable Boingo Passpoint on your Mac, Windows 10, Android or iOS device today. Nine-time winner of “Best Wi-Fi Service” in Global Traveler magazine's GT Tested reader survey awards! For your convenience, we make customer care and technical support available 24 hours per day, 7 days per week, 365 days per year -- by phone, email, chat, Facebook, and Twitter. Visit My Account to get receipts, update billing information, view usage and more. Just fill out a support form that best describes your issue and we will get back to you ASAP. Our Customer Care team is available 24/7/365 at +1-800-880-4117. Or use a Boingo international toll-free phone number from outside the USA. 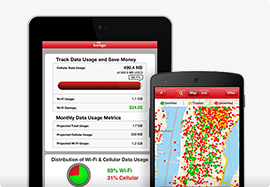 Check out Boingo Support for frequently asked questions about Boingo Wi-Fi. Come join the fun as a fan of Boingo! Like us on Facebook. Follow us on Twitter or Google+. Check out our Blog – The Hotspot. Give us your feedback, so we can improve our products and service!